I have to share a recent event that thrilled me, but first, you need to understand the background. When my son Bradley started his NACD program at age eleven, he was two to three years behind academically, and he had diagnoses of Aspergers, a form of autism, and Tourette’s Syndrome. Over the next two years on program, he made amazing progress, catching up academically and improving socially and emotionally. He is now doing really well. He still has some problems staying focused on his work, though, and his evaluator had suggested that we might want to test him on Play Attention to see if it would be appropriate for him. I had checked into buying it, but the expense steered me away. Anyway, I recently learned of a private organization that offered Play Attention sessions. I had heard that they offered some scholarships for the program due to research that was being conducted, so I thought I might see if we could qualify for some of the “free research”! I had been told that since there was no research on kids with Aspergers using the program, the director of the organization would be interested in seeing if it offered the same benefits. But the end result was that we didn’t qualify for the scholarship due to the fact that Bradley showed no signs of ADD on their computer test for attention. In addition, the Doctor spent about 90 minutes with Bradley and said he had no signs of Aspergers or ADD. He said that, considering Bradley’s history, some great work must have been done on this young man. I already knew that he really didn’t fall into any diagnosis categories any more, but it was the first time I had heard someone actually say he had no signs of the previous diagnosis, or any diagnosis currently. The doctor said that Bradley’s Tourette’s could be in remission, but at the present time he saw no evidence of the Tourette’s either. For once, it was a good thing not to qualify for something! 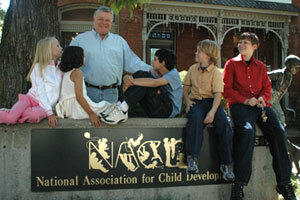 Thank you, NACD, for all that you have done to help me and my son.